How do you stay ahead of competition? If “Keeping updated and being adaptable” is your answer then you hit bull’s eye. Looking at the pace at which technology is evolving, keeping up with it is the only chance of survival. What is also equally important is keeping a keen eye on the changing preferences of consumers. The right mix of technology and awareness of people’s preferences is sure to yield good results when it comes to content marketing in 2019. Here is something that is worth considering before your devise your 2019 content marketing strategy. Is your content voice search ready? Voice search continues to grow in popularity each day. The demand for devices like Google Mini, Amazon Alexa etc. are at increase. This shows how people have started to depend on voice commands and voice searches. And considering the convenience that voice search offers this popularity is not going to cease. We wouldn’t be surprised even if voice search becomes a norm in a few years from now. So what does this mean to content creators? Start optimizing your content for voice search. Definitely a tedious task as these voice-powered devices pull the data from different sources and end up producing entirely different results. Don’t be disappointed yet. There definitely will be workarounds like for instance trying to get your content to be the featured snippet and be aware of what posts get to be in the featured snippet. Please refrain from thinking that content = blog. 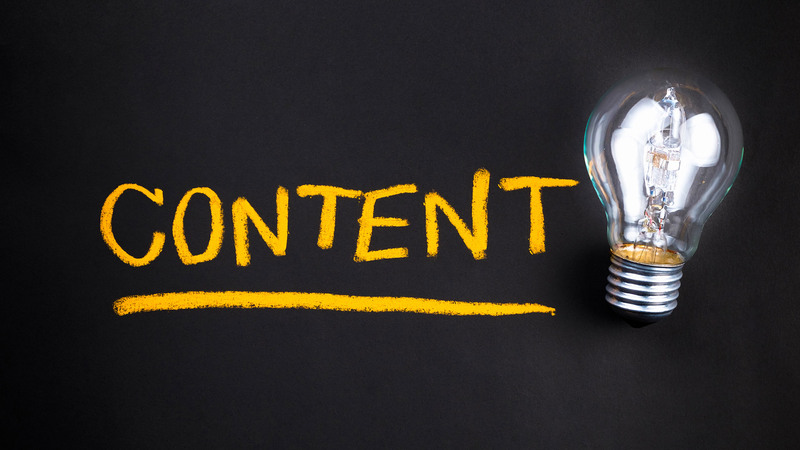 Content can be anything from videos to podcasts and marketing emails to social media content. If you have been limiting yourself to just blogs, you will fall behind. Create your content keeping your audience in mind. Think how are you going to reach them? If a video will serve the purpose, go ahead make it. There may be others who are interested in podcasts. Don’t disappoint them. Video tops among the most popular forms of content. The total number of people who use YouTube is approximately 1,300,000,000. 300 hours of video are uploaded to YouTube every minute! Almost 5 billion videos are watched on YouTube every single day. Podcasting too is close behind. Interactive content too are a great way to engage your audience. Keep them interested. Throw them those quizzes. Let them take part in your contests. Ok! We know this was coming all the time. In the near future AI may change the way we look at content marketing. How? The answer is data. Artificial Intelligence or AI can gather and interpret data at speeds beyond imagination. This data will give the insight you always wanted on the audience. Thus you can create content exactly, well almost exactly based on your user intent. AI will help you shape better content based on the insight it has gathered like audience interests, shopping pattern, behavior, location among scores of other demographics. So, we are looking at pure gold here. It is just a matter of time until Artificial Intelligence becomes much easily accessible. •	Studying user insight, data and demographics to set a specific goal for your content strategy. Also decide on your target audience and think of the right content that you are going to use the targeted audience. •	Customization of content according to user segmentation. •	Establishing KPIs (Key Performance Indicators) for tracking your content marketing ROI. •	Vary your strategy according to different channels of acquisition. The competition is too deep when it comes to content marketing and it is only going to increase. It is never going to be easy to find your place in the SERP. Keep the above points in your mind and work towards better content and strategy. These will make sure you don’t lose out to competition in 2019.